Today, many of us live busy lifestyles that make sense for us to have flexible spaces in our homes. What makes new homes more efficient for daily living is the fact that flex rooms are found in nearly every new home model. Every household is unique and will have different needs for these additional spaces, but if you aren't entirely sure what to do with your own flex spaces, we have some ideas to help you get inspired. Every crafter dreams of having a completely customized craft studio in their own home. Complete this space with built-in shelving or custom storage racks, and a worktop built specifically for your own type of craft. Be sure there's enough natural light coming in, and opt for larger windows if needed. Also for good lighting, consider adding pot lights or track lights to ensure you have just the right amount of light in the right places to create your masterpieces. Maybe even painting one wall as a chalkboard or whiteboard wall will add to your creative inspiration. Sketch out your ideas and wipe them away with ease. Your flex room can act as an extra den for your own use, with comfortable seating, an extra television, radio, and perhaps bookcase. But this space can also double as a comfortable guest room if you need additional sleeping arrangements – by putting in a sofa bed, you have multiple uses for the same room. Your guests then have both a comfortable sleeping area and a separate living area for when they're staying with you. This one is probably the most common solution for a flex space as most families have a need for a home office. If you need shelving built in for books, binders, or other related storage, adding this in along one wall will create more function in the space. Depending on the size of the room, perhaps bump out one section by a couple feet to add in a seating area in addition to a desk. Do you like to do yoga? 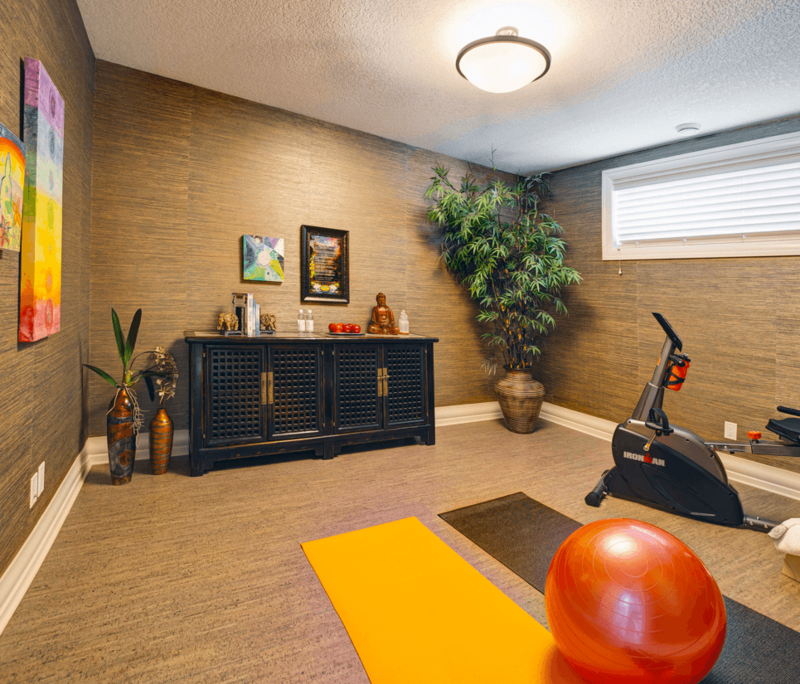 A flex room offers the spacious versatility to stretch out and relax for your yoga sessions. Consider adding in cubbies on one wall to store your mat and extra towels, and mount a TV on the wall if you like to watch videos and follow along. Perhaps even consider the type of flooring you add to this room; cork flooring is spongy enough to be comfortable, and also offers a luxurious natural look. Looking for some kid-friendly customization ideas? Consider converting your flex room into an all-encompassing homework space with desktops all around, bookshelves for storage, and a comfortable chair for each child. Supply each workstation with its own set of paper, pens, markers, perhaps one common family computer, and other helpful tech gadgets. To make things simpler, add in USB electrical outlets at each station so they can charge their devices easily. It may seem like the world of electronic devices is killing the old school paperback book, but for those of us who love to read, we can attest to preferring paper to a device. For this reason, some homeowners would still love to have their own library in their home, and a flex room is an ideal space just for this. Build in floor-to-ceiling bookshelves along one or two walls depending on the space, and place comfortable seating and a tabletop in your favourite spot. Be sure you have enough lighting to read, but also not too much to kill the relaxing ambience. Keep a throw blanket handy for chillier evenings, and maybe even include a coffee or tea station in the room to refresh your cup. Do you have a family member that plays an instrument or needs dedicated practice space? Your flex room is ideal for keeping this separate from the rest of the home. This room is ideal for a piano, or for setting up a dedicated space for other instruments and music stands. Build in custom storage facilities to ensure instruments are kept in their best shape, and perhaps even a Deacon's bench for seating and additional music storage. Flex spaces are fantastic in a home as they are incredibly versatile. They offer an amazing opportunity to use your personality to define your custom home. What sort of activities does your family participate in that a flex room can accommodate?